Historically, most people looking for a quality mechanical wristwatch might logically turn to Swiss manufacturers, as Switzerland has a long history of fine watchmaking. For an alternative, there are some great manufacturers right next door in Germany, and some of them offer some equally good timepieces. 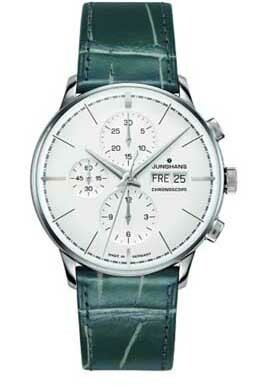 Junghans watches are made in Schramberg, in southwest Germany, and the company, which was founded in 1861, has been making wristwatches since 1927. They offer good build quality, some good features and complications, a nice mix of movements, and all at a price that’s quite a bit less than you might have to pay for similar watches from Swiss manufacturers. Read on for the full Junghans watches review. The build quality is good, with most models having stainless steel cases and a few limited edition models having gold cases. A few cases are stainless steel with gold PVD coating. The watch faces are protected with an unusual plexiglass crystal coated with Sicrilan, which is a substance that is supposed to protect the watch from ultraviolet radiation and improve the scratch resistance of the timepiece. Most cases feature screw-on backs and luminous hands. Water resistance is modest in most models, with ratings in the 30 meter range. This is adequate for getting the watch wet, but you won’t want to go swimming or diving with it. The movements used are quartz electronic, manually wound mechanical, and automatic (self-winding) mechanical, all sourced from Switzerland. Buying off-the-shelf movements helps keep Junghans watches affordable, as designing and building movements in-house, as some manufacturers do, adds quite a bit to the cost. You’ll find some interesting features here. A few models are time-only, but many have a date complication. You’ll also find models with moon phase displays, power reserve indicators, day/date complications, and even a complication that displays, via an inset dial, the number of the current week of the year. That’s an unusual complication and not one that we often encounter. Of course, there are also a number of models that feature chronographs, as they’re quite popular with the watch-buying public. What struck us most about these watches on initial viewing is that they have a rather clean, austere appearance. Many of their models are based on designs by Max Bill, who worked for the company many years ago and designed both watches and clocks for them. Bill’s watch designs are simple and elegant, and are reminiscent of Scandinavian design. Watch faces lean towards the basic black and white, with color available in the watch straps and bracelets, rather than in the watch faces or cases themselves. Most models are stainless steel, but there are a few limited edition models with gold cases, and a few models with gold PVD coating. We didn’t see any Junghans watches with gemstones, but then again, these watches aren’t priced in the range of watches that do include gemstones. Case sizes are average, with women’s sizes in the 30mm range and men’s in the 38mm-40mm range. We haven’t seen any models with the large oversized cases that are popular with many manufacturers today. There’s also a single model that the company calls “radio control” – this watch has its time set by connecting via radio to an atomic clock to ensure accuracy. As most of the company’s watches are mechanical in nature, you will need to have them serviced from time to time. While the company makes no specific recommendation regarding a service interval, they suggest that you should have the watch checked by an authorized service center every 4-6 years. This will involve cleaning and lubricating the watch, and replacing any worn or damaged parts. At this time, they’ll also ensure that the watch is retaining its water resistance. Quartz models will need to have the battery replaced every 3 years or so, but aside from that, no regular maintenance is necessary. You’ll want to store your watch away from strong magnetic fields and keep them in a cool, dry place. With proper care, your watch should run well for years to come. The warranty offered is the industry standard – two years. This will protect you against any undiscovered defects in materials and craftsmanship. As these watches are tested at the factory prior to shipping, defects are likely quite rare. 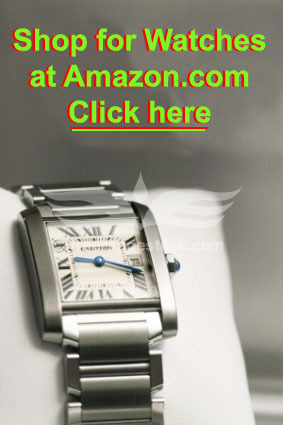 As German and Swiss luxury watches go, you’ll find that the prices of these watches are fairly reasonable. 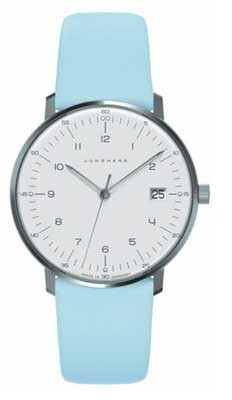 Prices start at about $400 for a no-frills, time-only model with a quartz electronic movement. Prices top out at about $10,000. For the higher figure, you’ll be looking at a chronograph with an automatic movement and a gold case, and a numbered example of a limited edition. Most models fall in the $500-$1500 range, which makes them affordable as designer watches go, but not exactly inexpensive. You can likely find them for sale at a few watch specialty stores, and perhaps a few high end department stores with good selections of wristwatches. You can also buy them online from a number of other retailers, and shopping online will give you your best opportunity to buy discount Junghans watches. Online retailers often provide the best opportunity for bargains, do to lower overhead costs. German watchmakers often provide a good alternative to Swiss ones, as you still get good build quality but often at a lower price. You’ll find some nice clean styling, some interesting features and good build quality, all in a watch that isn’t priced in a way that makes it unaffordable. 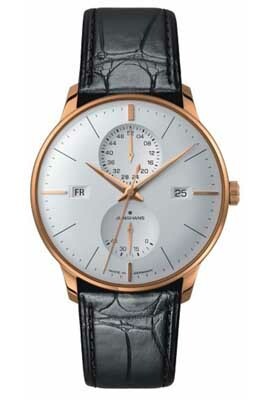 If you’re looking for a quality European watch and don’t want to spend a fortune, Junghans watches might be a good choice for you.